well, char… or bio-char as it is now popularly known. fairly simple process as it turns out. what you basically need to do is to have a nearly sealed fireproof container that contains the wood you want to convert to charcoal and you need a heat source to cook it. handily one of the by products of cooking wood is a bunch of flammable gasses, and the quicker amongst you can probably already see where this is going. the trick is to direct the gasses into the flames that are heating the soon-to-be-charcoal. the simplest way that I’ve found so far is described at the New England Biochar website. it breaks down to the following steps. fill a small metal bucket with the wood you wish to convert. invert small bucket inside slightly wider and taller second metal bucket that has a line of airholes punched into the bottom edges. surround the inner bucket with kindling. the trick here is to figure out just how much. too much and there is lots of smoke. too little and the inner bucket wont get hot enough. light several parts of the kindling so that the fire will burn relatively evenly. 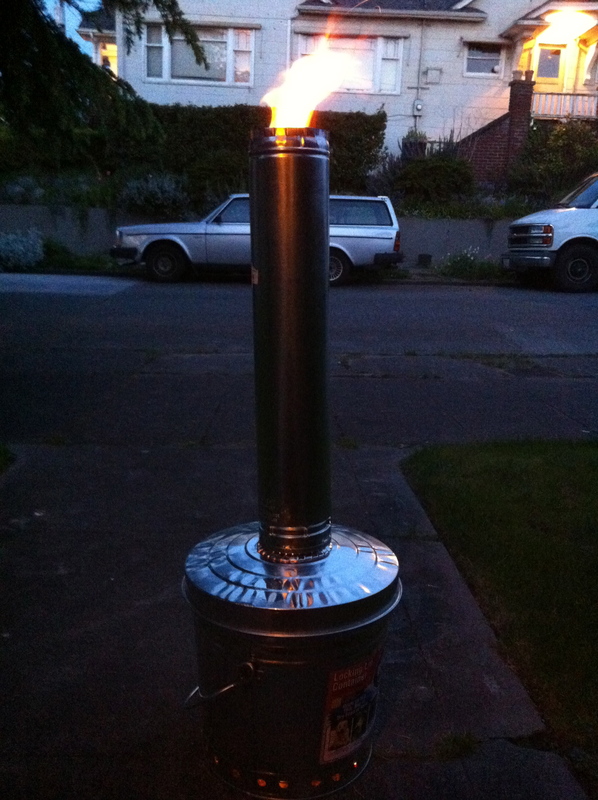 adding a lid with a chimney will make the whole process more efficient. This entry was posted in Boat building, Education on April 25, 2013 by psgouros.